Children’s Hospital Foundation is pleased to welcome Leah Kuppersmith as its new Senior Associate Director, Stewardship & Donor Relations. Leah most recently held the position of Director of Alumni Relations for George Washington University School of Business (GWSB), where she built the alumni relations program from the ground up and launched a range of innovative stewardship opportunities. Leah managed and developed relationships with over 1,000 GWSB alumni increasing their engagement, volunteerism, and philanthropy. Leah has nine years of development experience and has served a three-year term on the leadership council for the Association of Business School Alumni Relations Professionals, an industry network comprised of the top 30 business Schools. Leah received a Master of Arts in Education and Human Development and a Bachelor of Business Administration from George Washington University. As Senior Associate Director, Stewardship & Donor Relations, Leah will work with a six-person team to promote an institution-wide program for strategic cultivation, recognition, and stewardship of individual donors and corporate partners of the Foundation. She will ensure integrated stewardship programming through efficient collaborative communications and participation in prospect review meetings with gift officers and will design and manage complex stewardship events for major donors to the Foundation. Leah will be reporting to Larysa Gradeck, Senior Director of Stewardship & Donor Relations. 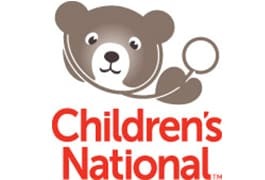 Children’s National Health System, based in Washington D.C., has been serving the nation’s children since 1870. Children’s National Hospital is Magnet® designated, and is consistently ranked among the top pediatric hospitals by U.S. News & World Report and the Leapfrog Group, the gold standard for excellence in patient care, quality and safety. Home to the Children’s Research Institute and the Sheikh Zayed Institute for Pediatric Surgical Innovation, Children’s National is one of the nation’s top NIH-funded pediatric institutions. With a community based pediatric network, eight regional outpatient centers, an ambulatory surgery center, two emergency rooms, an acute care hospital, and collaborations throughout the region, Children’s National is recognized for its expertise and innovation in pediatric care and as an advocate for all children.